Gillian is fifteen, [disabled] by [an] accident but dreams of swimming across oceans. Jacob is fourteen and yearns for his brother’s life. Frankie is fifteen and in love with the new deckhand on her father’s boat. As the story of these three desires intertwine over the course of one lazy summer in a small coastal town, Cargo is by turns heart-wrenching, beautiful and explosive. In a simple time of truth and change, these are characters who do not know themselves, yet through their innocence we come to understand what it means to be young, and have all the troubles in the world. Cargo is a beautiful, moving book. Ms Au has captured the insecurities of adolescence brilliantly. Set in a coastal town in around the late 1990s or early 2000s, Cargo follows three teenagers over a period of several summer and autumn months: Frankie, Gillian and Jacob. Frankie is the daughter of a local entrepreneur, Gillian is rediscovering herself after a serious accident a year or two previously, and Jacob is trying to get out of the shadow of his older brother. The novel explores friendships, family, sexuality and a growing awareness of what adulthood will mean for each of the three characters. All characters are apparently heterosexual and white, but some class issues are explored, as are some issues relating to people with disabilities. This is the kind of YA book which adults will also find it very easy to enjoy (and quick to read). In the first place, the writing is excellent. Secondly, Ms Au’s characters are not only well-written and believable, but easy to sympathise with. The thoughts and emotions of each main character are drawn rather than described, so the reader thinks and feels along with the characters without even trying, and with understanding rather than a feeling of being told. I put the book down feeling hope for each character, looking forward to their futures in much the same way I looked forward to my own when I was an adolescent. 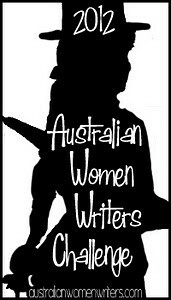 This is a review for the 2012 Australian Women Writers Challenge. You can see my full list of books here. You can find a full list of my reviews, and other posts relevant to the challenge, here. Letters to Tiptree: what does it mean to “write like a man”?